Nick Masino is the Senior Vice President of Economic Development & Partnership Gwinnett at the Gwinnett Chamber in Duluth, Georgia. 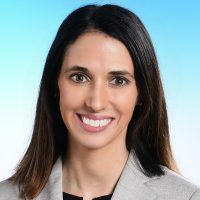 Masino has served in this key leadership role for the past seven years and oversees the business recruitment and retention efforts for Gwinnett, as well as the implementation of the Partnership Gwinnett Strategy. To create this community-focused economic development (ED) organization, Partnership Gwinnett, Masino worked with public and private leadership to commission ED studies in 2006 and 2011, respectively; and spearheaded the implementation efforts of the initial plan—which brought approximately 250 company expansions or relocations, over 13,000 jobs and more than $900,000,000 in investment to Gwinnett. The second iteration of the plan began in January 2012. A leading authority on local and state economic development, Masino is regularly sought after for prominent speaking engagements throughout metro Atlanta and Georgia. In addition, he has spoken internationally, in Incheon and Seoul, South Korea and Wuxi, Chongqing and Qingdao, China, representing Georgia on government, economic development and international business subjects. As a result of his extensive expertise in the economic development arena, Masino is a preferred interviewee for regional and local television, radio, newspaper and magazine outlets. 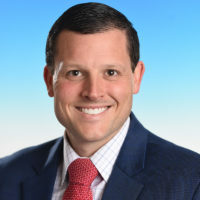 Masino’s economic development career began in February 2007, when he accepted his current role, but he is no stranger to the field. In December 2007, he ended his eighth year as one of Georgia’s youngest Mayors for the City of Suwanee. Prior to this post, Masino spent twelve years in Division, Regional and Territory Management within the recruiting and staffing industry. Before departing the industry, Masino held the position of Professional Services Division Manager for a national staffing agency. *A complete list of affiliations, honors, and awards can be found at: http://www.linkedin.com/in/masino. Adam serves as Director, Education & Talent Development for Gwinnett Chamber Economic Development and Partnership Gwinnett. 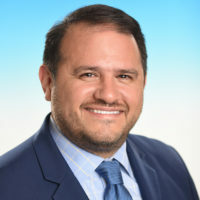 He leads the implementation efforts for Partnership Gwinnett’s Goal 2 Education and Workforce Excellence initiatives and serves as the key point person to connect and better align the demands of the County’s talent development needs. Adam brings a wealth of cumulative experience (20+ years) in the education sector, having served secondary and post-secondary school clients across the nation (non-profit and for-profit institutions alike) addressing enrollment management, content, curriculum and marketing communication needs. He has made significant contributions to the success of a range of companies from a Seattle-based education-technology startup and a Miami-based marketing and content management services provider, to multi-national education companies such as Houghton Mifflin and Pearson Learning. He was also the founder of a print and digital brand marketing agency in metro-Atlanta. Adam hold a Bachelor of Science in Business Administration from Stetson University in Deland, Florida. Li Wong is the Director of Entrepreneurship for Partnership Gwinnett, where he is driving small business and entrepreneurial goals and objectives, while providing key information and support to develop targeted-industry small business initiatives. Wong also actively supports the Gwinnett Angels, a chapter of the Atlanta Technology Angels. Prior to this role, Wong was the Publisher of the Georgia Asian Times (GAT). He founded the publication in 2004, and it remains the largest circulated publication covering the multiethnic Asian-American community in the metro Atlanta region and the state of Georgia. He was also instrumental in establishing the annual GAT 25 Most Influential Asian Americans in Georgia Awards program. Wong is also the founder of the Atlanta Asian Film Festival, the largest film festival of its kind in the southeast region. Wong formerly served as the Country Manager for Dow Jones Interactive Publishing, as well as the Asian Wall Street Journal Digital in Kuala Lumpur, Malaysia. Prior to this, he was the Director of International Affairs for the John Buck Company, a Chicago-based property development and investment organization. Wong also spent time serving as the Director of Marketing for Conway/Site Selection Magazine. Wong graduated with an MBA in International Business and a BBA in Management from Georgia State University. 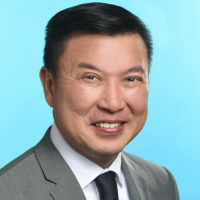 He currently serves on the Board of Hong Kong Dragon Boat Festival of Atlanta, the Atlanta Asian Film festival, and the Hong Kong Association of Atlanta. Wong previously served as a member on the Board of Visitor at Emory University. 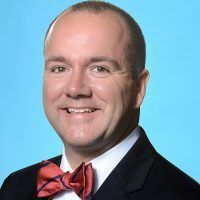 Andrew Carnes serves as the Senior Director of Economic Development for Gwinnett Chamber Economic Development and Partnership Gwinnett. Prior to serving in this role, Carnes was the Executive Director for the Dalton-Whitfield County Joint Development Authority where he managed and directed the countywide economic development strategies, including existing industry expansion services and recruitment of new business. During his time in Dalton, he was instrumental in landing 50 projects in the community assisting with the creation of more than 3,600 direct jobs, 1,900 indirect jobs and more than $791 Million in new investment. Currently, he is a member of the Georgia Economic Developer’s Association (GEDA), the Industrial Asset Management Council (IAMC), and the Southern Economic Development Council (SEDC). He serves on the GEDA Young Professionals, Member Services and Public Policy committees and is the Co-Chairman of SEDC’s Young Professionals for 2015. Carnes was a Board Member for Young Professionals of Northwest Georgia and Chair of the Corporate Outreach committee for two years. Carnes earned a Bachelor Degree in Business Economics from Armstrong Atlantic State University in Savannah, GA and completed the University of Oklahoma Economic Development Institute in the summer of 2015. Haley Tolbert serves as the Director of Programs & Communications for Economic Development. In this role she is responsible for the overall design and execution of the Economic Development marketing and event strategy. 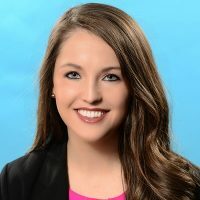 Haley began her career in the telecommunications field as the marketing and communications specialist with Movius Interactive Corporation in Johns Creek, Georgia. After leaving Movius Haley joined the Partnership Gwinnett team as the Program Manager in 2013. Since that time she has been promoted twice within the organization and took on her current role in May of 2016. 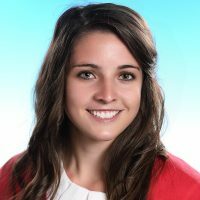 Haley is a member of the Georgia Economic Developers Association, the Gwinnett Young Professionals Leadership Council and currently serves as the Secretary for the Sugar Hill Historic Preservation Society. 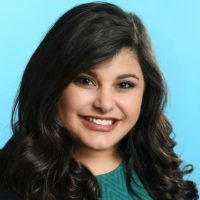 She is also a 2015 graduate of the Leadership Gwinnett program, Glance Gwinnett and a member of the Gwinnett Young Professional Leadership Institute inaugural class of 2016. Haley holds a Bachelor of Arts in Mass Communication with a dual concentration in Public Relations and Advertising from Georgia College & State University. She currently resides in Buford, Georgia with her husband, Neil and son, Drake. Deven Cason is the Project Manager for Manufacturing and Supply Chain sectors for Gwinnett Chamber Economic Development & Partnership Gwinnett. She is responsible for economic development project activities for the Partnership Gwinnett strategy. Prior to this role, Deven worked as an Account Manager at True Staffing in Gwinnett County. Currently, she is a member of the Georgia Economic Developer’s Association (GEDA) and holds a Bachelor of Science in Consumer Economics from the University of Georgia. Deven, along with her husband and two children, is a resident of Buford, GA.
Megan Wing is the Project Manager for Technology and Life Sciences for Partnership Gwinnett. She is responsible for economic development project activities for the Partnership Gwinnett strategy. Before joining Partnership Gwinnett, Megan worked as a Senior Launch Recruiting Specialist at MarketSource, where she launched sales programs for companies like Hisense and Hewlett Packard. 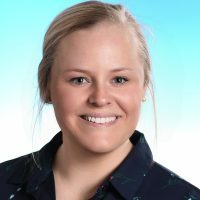 Prior to working in sales, Megan begin her career in life sciences as a Histology Laboratory Assistant with Quest Diagnostics. Megan holds a Bachelor of Science in Biology from LaGrange College. Jalisa is the Project Associate for Partnership Gwinnett. In her role, she supports the project team in executing economic development activities for the Partnership Gwinnett strategy. Before joining the team, Jalisa worked as an Associate Project Manager in IT for Sheetz, Inc. a chain of convenience stores and coffee shops headquartered in Altoona, Pennsylvania. While at Sheetz she participated in several internal functions to include coordinating IT projects, maintaining a project management database and tracking payment credit information. New to Gwinnett, Jalisa recently moved from Pennsylvania where she attended Mount Aloysius College and earned a bachelor’s degree in Business Administration. While in PA she also completed an Associate Project Management (CAPM) certification at the Project Management Institute in Pennsylvania. Jalisa and her husband, McClain currently reside in Lawrenceville, GA.
Lauren serves as the Programs Coordinator for Partnership Gwinnett. In her role, she supports the planning and execution of Partnership Gwinnett’s events and meetings. Prior to joining the Partnership Gwinnett team, Lauren served as Training Specialist for the Georgia Aquarium, where she was responsible for onboarding and coordinating training for over 1,600 aquarium team members. While at the Aquarium, she also managed multiple outreach programs. After graduating from Georgia Gwinnett College in 2015, where she earned a Bachelor of Science in Psychology, Lauren began her career with the Gwinnett County Department of Water Resources. At the County, she coordinated outreach programs in the Gwinnett County Public Schools and around the community. Lauren stays active in her local community as an avid volunteer with Relay for Life and Samaritan’s Purse. She currently resides in Lawrenceville, GA.
Chris Perlera serves as the Marketing & Research Associate for Partnership Gwinnett. In this role he is responsible for marketing & communications support and the fulfillment of market research requests on behalf of Partnership Gwinnett’s public and private partners. Prior to joining Partnership Gwinnett, Chris served in multiple roles in the office of the Georgia Secretary of State including the role of Special Projects Coordinator. 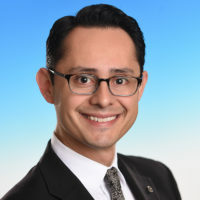 He left state government in early 2016 to found his own public affairs consulting firm focused on strategic communications and public relations. He brings an array of experience in multiple areas including communications, international affairs, and technology. Chris is an alumni of LEAD Atlanta and active in many Latin American philanthropic causes including the Latin American Association’s advocacy committee. He speaks English, Spanish, and Portuguese. His family originally hails from El Salvador, Central America. Chris holds a Bachelor of Arts in Romance Languages from the University of Georgia. #GoDawgs. He is Boston, MA born and Athens, GA raised.